PCR is a mission minded congregation as we seek to share the love of God by serving our neighbors, whether we meet them around the corner or around the world. We are involved in several ongoing and periodic local and international mission projects. Our Food Pantry, stocked by support from members and community groups, as well as the Atlanta Community Food Bank, provides food for local families on a weekly basis. For more information, contact the church office. We participate in an annual back-to-school supply drive to provide children attending neighboring J.H. House Elementary School with school supplies. Our Men of the Church sponsor a toy drive and one of our Women’s Circles sponsors a warm coat and clothing drive for children. 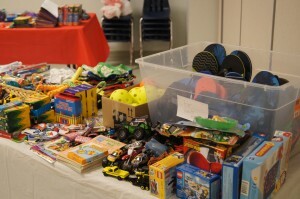 PCR is involved with Athens, GA-based Bethlehem Ministry’s (www.bethlehemministry.org) work in Haiti by helping to provide support and items for the Ecole St. Barthélémy school in Terrier Rouge, sending Christmas shoeboxes for the children and sponsoring some of the students. Our members also participate in Mission Trips to Haiti. For more information, contact the church office. Our church groups support other International Mission projects such as Wycliff Bible Translators and Rivers of the World. We also participate in PCUSA International Mission Ministries.